What a great year for production Sowmobiles for SNOWBLIND. The Farruko music video- https://youtu.be/lkN51aqPOzU , B&W Hitch commercials, and building a film sled platform for Audi. The snow was great locally. For almost as long as we have provided snowmobiles, we have been renting weapons and training actors on the use of extreme weapon systems. We are looking forward to the expansion of this covert part of SNOWBLIND. Putting Betty White on a snowmobile was not something we ever thought would happen, but exactly what SNOWBLIND did for for Hot in Cincinnati. We have been helping productions find ways to incorporate snowmobiles and snowmobile stunts into their show for over 20 years now. Welcome to mtnX.com, the home of SNOWBLIND SNOWMOBILES. We are looking forward to a great 2019, after being featured in SNOWEST, SNOWBOARDER, DIESELTECH, and SAND ADDICTION magazines. 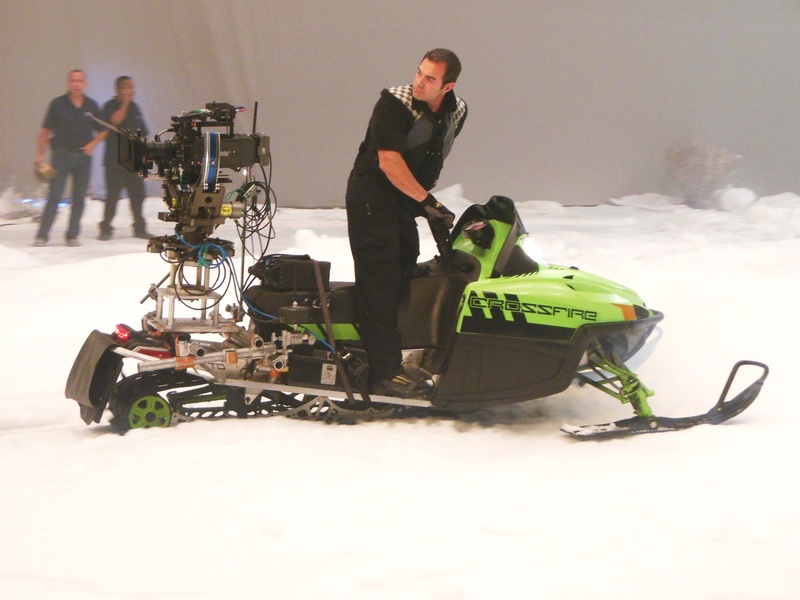 We have provided snowmobiles for various photo shoots, TV shows and movies, including Last Man Standing, The Last Ship, Lucky Numbers, The Guardian, Big Love, MTV and others. 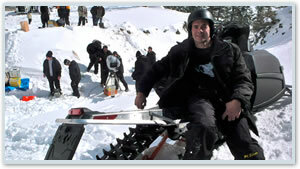 SNOWBLIND can provide Film Platform snowmobiles, snow making, riders, stunt coordinating and consulting for all your production needs.